Fabric! We carry thousands of options (yes, really) so you can get as creative as you want. Soft treatments are a great way to add another design element to a space. 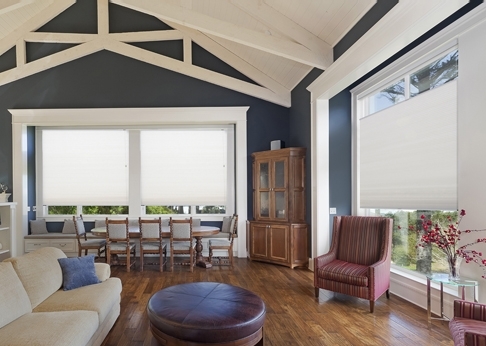 Great for insulation and light control, blinds and shades are always a practical choice. Bonus: they're budget-friendly and available in a rainbow of colors.